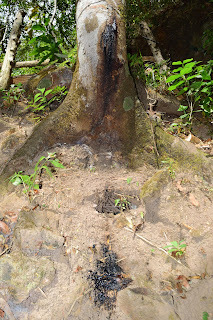 This tree had a wound on it and was dripping sap onto the ground below. I didn't identify the tree so I'm unaware of any potential uses for the earthy smelling sap. It might be a nice aromatic to add to a fire.